Hillyard has always been proud of its history and heritage, as demonstrated in the many painted murals throughout the neighborhood. 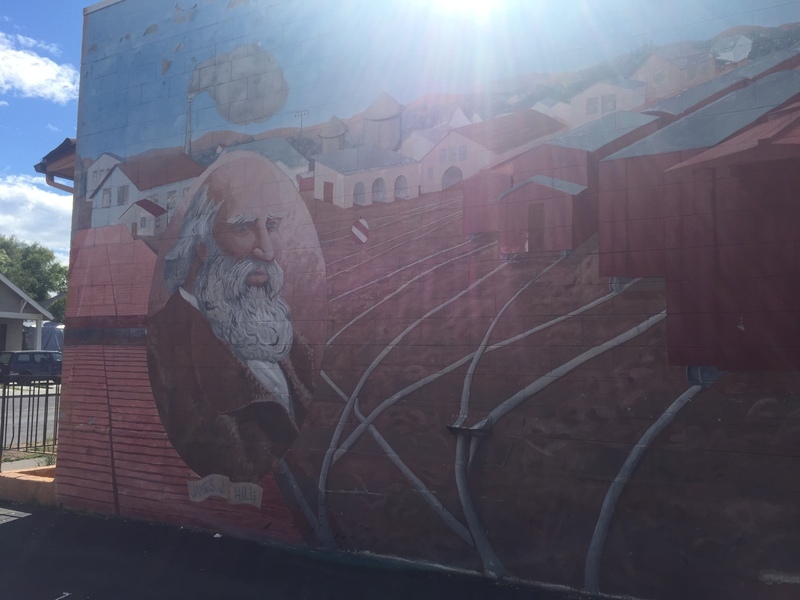 Let’s take a closer look at some of the Hillyard murals. Hillyard's first mural no longer exists. In 1978, a massive 80 by 24-foot painting was completed, fittingly on one of Great Northern’s former buildings--the icehouse. The painting depicted the first train arriving in Hillyard with Jim Hill holding a pocketwatch to check its timeliness with onlookers and workers on hand to celebrate the event. The mural that started it all was paid for by the Spokane Arts Commission and completed by artist John Forrest Thamm. Unfortunately the mural was lost when the building burned down in 1994. 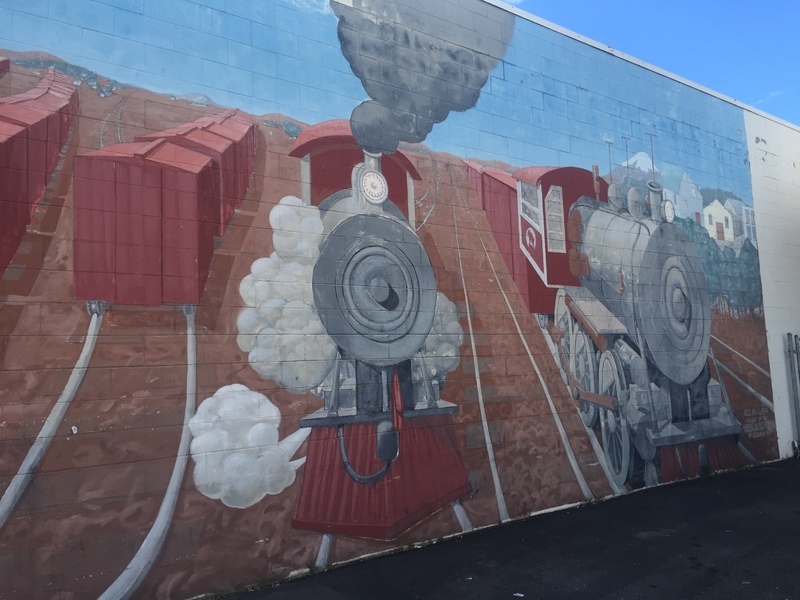 Though the original mural was destroyed, the Hillyard Business Association had already set in motion a mural project throughout the business district. In the summer of 1994, they hired Tom Quinn to complete a mural on the corner of Wellesley and Market on the east side of a nursing home. The 16 by 53-foot piece of art depicts the former rail yards and a portrait of James J. Hill. They planned to complete a mural every year in the following four years. Though the mural plan has been stop-and-go, the community remained dedicated to beautification of their neighborhood. The mural project has exploded over the previous twenty years. Hillyard now has over 10 official murals and 13 total located throughout the business district. 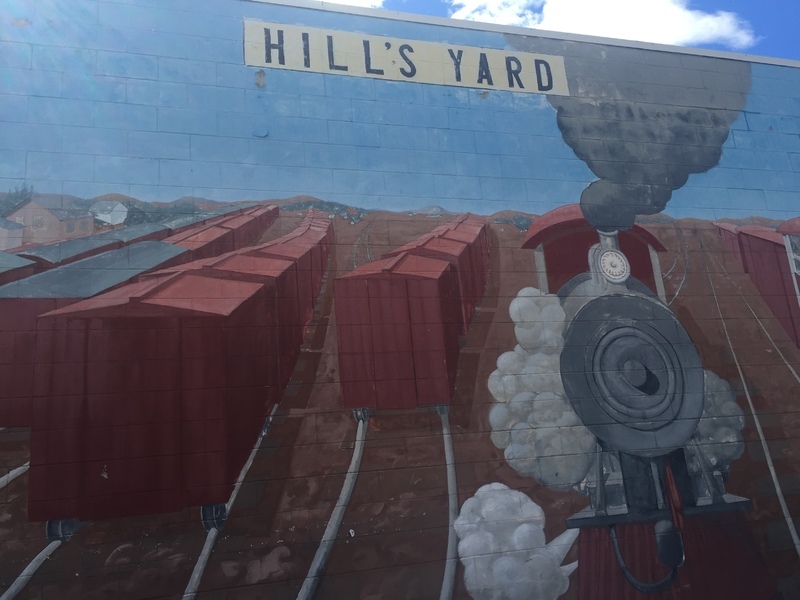 Most of the artwork depicts some aspect of Hillyard’s railroad history, focusing on the rail yards and trains. The businesses wear their mural like a badge of honor and all in the community agree they have added beauty to formally underutilized exterior walls. 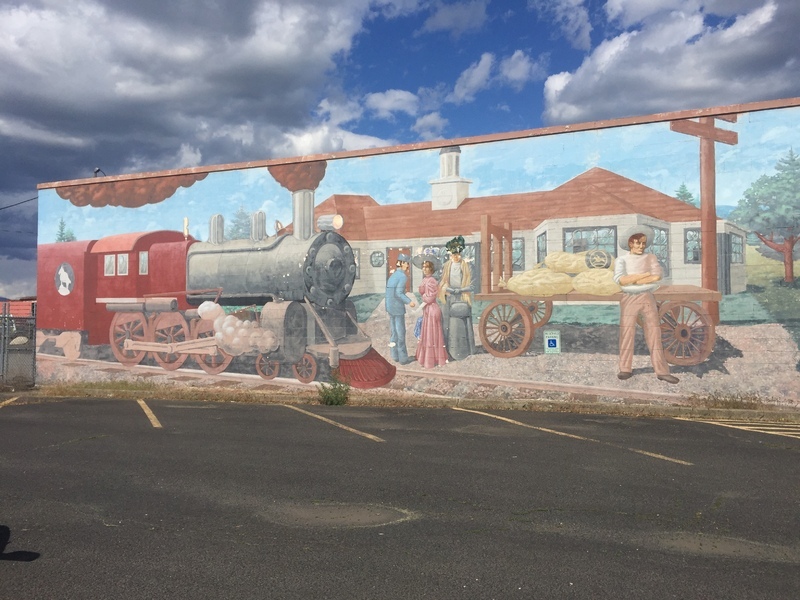 Street Scene Mural: This mural on the side of the old post office depicts a street scene in Hillyard with a train rolling through. Image courtesy of Allie Honican. 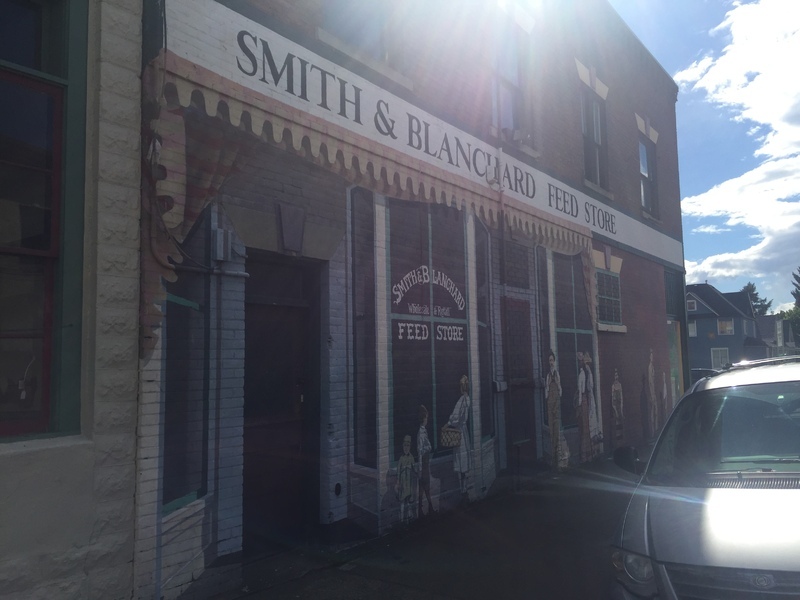 Smith & Blanchard Mural: This mural depicts a store front scene with shoppers relaxing outside. Image courtesy of Allie Honican. 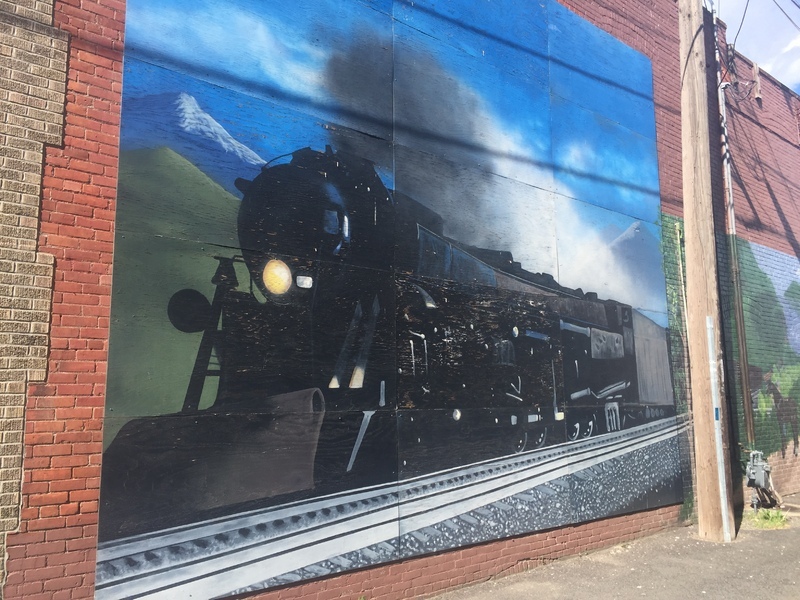 Train Mural: This mural fits in perfectly with the railroad themed murals in Hillyard. Image courtesy of Allie Honican. 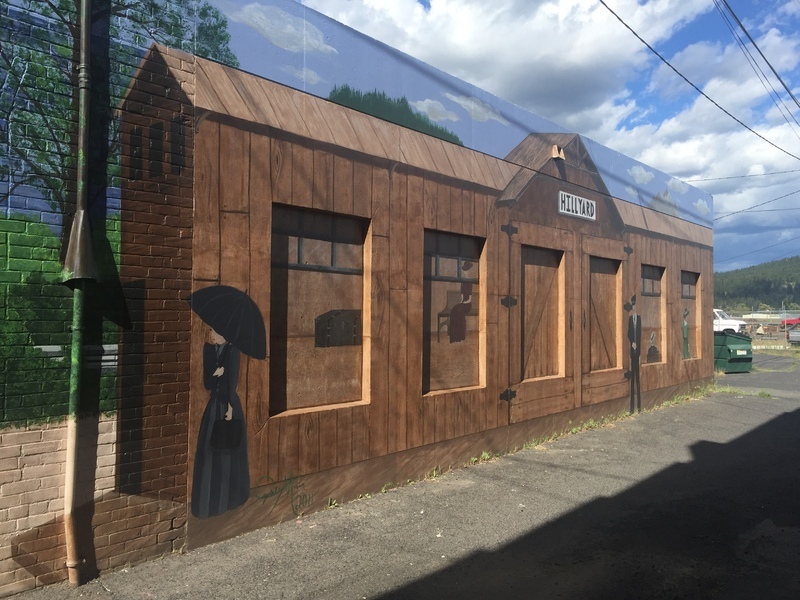 Train Depot Mural: This mural shows a train depot and people waiting to catch their train. Image courtesy of Allie Honican. Second Mural Close-Up: This is a close-up of the second mural created for Hillyard shows the large portrait of James J. Hill. Image courtesy of Allie Honican. Second Mural Close-Up: This large mural portrays the rail yards in Hillyard. Image courtesy of Allie Honican. Hilly's Yard: Named after James J. Hill, Hillyard residents are very proud of their railroad heritage. Image courtesy of Allie Honican. 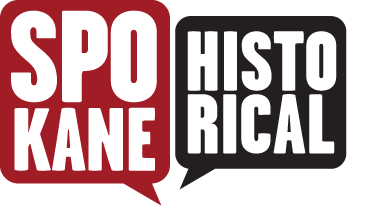 Allie Honican, “Hillyard Murals,” Spokane Historical, accessed April 20, 2019, https://spokanehistorical.org/items/show/640. Briggs, Kara. Spokesman-Review. “Fire Destroys Old Railroad Icehouse: Cause of Hillyard Railroad Blaze Under Investigation” December 22, 1994. Parsons, O.J. Spokesman-Review. “Mural Belatedly Celebrates Railroad’s Arrival in Hillyard” August 20, 1978. Sowa, Tom. Spokesman-Review. “Artist Brushes off Nit-Pickers: Rush to Finish Mural Showing Hillyard’s Past,” July 28, 1994. Sowa, Tom. Spokesman-Review. “Artist Completing Mural in Hillyard,” July 27, 1995.